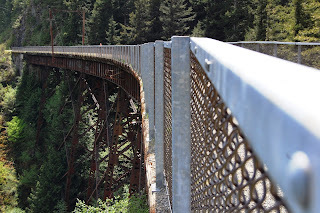 The Milwaukee Road follows the South Fork Snoqualmie River through to a tunnel under Snoqualmie Pass. It's now a rail trail across Washington State. This is the bridge across Hall Creek, perhaps 15 miles from the pass.